At BibleofGod.org, my aim is to provide you with the most Accurate, Unbiased and Truthful Biblical teachings, for your spiritual learning and growth. I want to help you discover the Truth about God and his Word for yourself, so that you may understand and truly believe what the Bible teaches. The site’s name “Bible of God”, isn’t suggesting that any of what is written here is inspired by God himself; rather, all the material you find here is my own work and research from many years of seeking out the Truth. Essentially, I’m trying my best to get back to the Original Meaning of the Bible; trying to restore and decipher the scriptures as they were originally meant to be understood. I do NOT accept any sort of payments through this site, or for my Spiritual/Biblical mission. No Donations, No Tithing, No Charity of any monetary sorts. It’s not that these practices are against God’s word, it’s just that I believe they are overused and abused. This site contains No Advertisements, No Selling of Products/Services and No Affiliate links. It will remain this way, 100% Free with No Revenue generated. I believe that we could reach much more people and help many more lives, through Love. Loving one another and wanting the best for your Family, Friends and Neighbors is the key to opening up their hearts to the truth. Instead of being overly dependent on money, let’s simply share the truth of God’s word with others. Do you see a teaching on this site that you like? Then please go ahead and share it with your friends! There are several sharing options to the Top of each page, including a “Print” button. 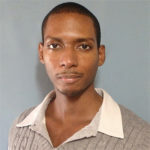 My name is Andrew Emmanuel Davis, and I’m the author of the teachings that you’ll find on this website. I am also the Designer and Developer of this website.